If you prefer your iPhones to be smaller and cheaper - and many do - then you may be pleased to hear that there are rumours pointing to a new version of the 4in iPhone SE launching in 2018. Want to know more? In our iPhone SE 2 rumours article, we collect and analyse the clues, hints and evidence pointing to the release date of Apple's follow-up to the iPhone SE, as well as the iPhone SE 2's tech specs, design, leaked images, new features and UK pricing - so you've come to the right place! This page will be updated whenever new information emerges relating to the launch of an updated iPhone SE, so check back regularly for the latest iPhone SE 2 rumours. For buying advice related to the current range, take a look at our roundup of the best iPhone SE deals as well as our iPhone buying guide. The original iPhone SE was announced in March 2016, but it didn't get a significant update in 2017 other than a bump in storage. Lots of rumours point to a new version of the device being launched early or relatively early in 2018. A FocusTaiwan report in August 2017 suggested that a new iPhone SE would launch in the first quarter of 2018, while in Feb 2018 the Taiwan Electronic Times (via the Chinese-language site MyDrivers) predicted an iPhone SE 2 launch in March, albeit with minimal design changes from the SE. Another report, this time by the Taiwanese market research company TrendForce, believes a new iPhone SE 2 is coming in the first half of 2018. There was no mention of the SE at Apple's education-focused event on 27 March - nor did we expect one, since it didn't fit the theme - but the company may find time to release a new model later in the spring. Apple is said to be working on three new full-screen phones due to launch in September - one of which is rumoured to be a lower-cost option (read more about that below), making it unlikely that an even cheaper iPhone SE would be introduced a couple of months sooner. WWDC is a developer conference with a particular focus on software and high-end products rather than entry-level devices. The real update to the iPhone SE may not come until September, if analyst Ming-Chi Kuo is correct. He believes that along with updates to the iPhone X and a bigger version of that full-screen iPhone with an OLED screen, Apple will launch a cheaper full-screen iPhone with a 6.1in LCD screen. This may be the true successor to the iPhone SE. Several analysts have suggested that there won't be a new iPhone SE at all. In January 2018 Ming-Chi Kuo wrote a research note arguing that Apple had "used up its development resources" and would not be able to produce a new SE for the spring launch window. "The announcement of three new iPhone models in the same quarter in the second half of 2017 was the first time Apple made such a major endeavour," he wrote. "We believe the delay of iPhone X, which had the most complicated design yet, shows that Apple doesn't have enough resources available for development. With three new models in the pipeline for the second half of 2018, we believe Apple may have used up its development resources." And back in July 2017 China's Huaquang Research analyst Pan Juitang predicted that Apple wouldn't update its 4in phone, arguing that there isn't enough demand for smaller devices as many consumers opt for larger displays for watching movies, playing games and browsing the web. The vast majority are accustomed to 5in or bigger displays, he added. Even if the SE is updated, it may not launch where you live. Some reports suggest that the new SE handset might not be available everywhere. Another report claims that the SE2 will launch in India prior to launching in other territories. This sounds dubious to us, although it might fit with Apple's plans to offer a cheaper handset to certain territories (normally Apple does this by offering an older version of the iPhone to certain countries). We expect the iPhone SE 2 to be similarly priced when (and if) it launches. A Chinese report from February 2018, says that the iPhone SE2 will have a similar design to the current iPhone SE. However, it will have a larger 4.2in display, apparently. The bigger display won't be due to it having an all screen display like the iPhone X, though. The report states that it will still maintain the classic iPhone shape and the front Home button to support fingerprint recognition. The idea that Apple would redesign the iPhone SE so extensively doesn't get a lot of support from analysts like Ming-Chi Kuo who believes that Apple is so busy with the successors to the iPhones X and 8 that it won't have the time or resources to focus on this entry-level handset. The iPhone SE is currently available in Silver, Gold, Space Grey and Rose Gold options. The iPhone SE 2 is likely to be available in Silver, Gold, and Space Grey - like the iPhone 8. 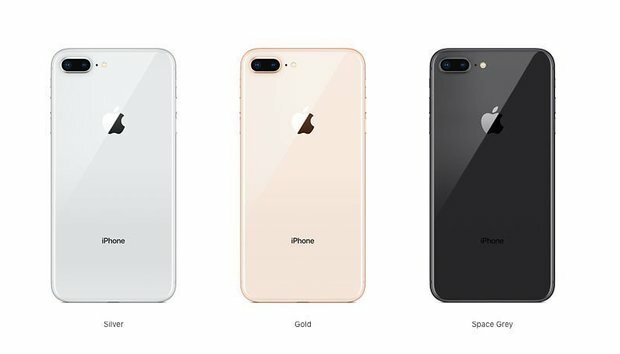 The Rose Gold and Gold version have kind of merged in the iPhone 8 and it is likely that the new iPhone SE will also offer this new brassier Gold colour option rather than two gold options. Another possibility - if Apple is working on an extensive redesign of the handset, us that it may also feature a glass back - allowing for wireless charging, a feature introduced with the iPhone 8 and iPhone X. This could mean the new iPhone SE 2 will look more like the all-glass iPhone 4. There are theories that the iPhone SE 2 could have an all-screen design, like the iPhone X; many publications and analysts are referring to it as the iPhone X SE. However, while this is something that could appear in the future, we think it will be some time before the home-button-free design makes its way down to the entry-level iPhone. We've got our first iPhone SE 2 leak! Slashleaks has posted an image allegedly showing the chassis of the iPhone SE 2 in two colours - gold and Rose Gold. And they fairly clearly have glass backs, which suggests support for wireless charging. Beyond that, we move into the realm of concept illustrations: images and videos created to explore design concepts rather than actual leaks. One illustrator, for instance, has imagined what the iPhone SE2 might look like if Apple was to give it an iPhone X-like redesign. Here's a idea of what we could expect from Concept Creator, in this video. Currently the iPhone SE has a 4in screen (that's 4 inches measured diagonally). The handset itself measures 123.8mm by 58.6mm and it's 7.6mm thick. It weighs 113g. It's also possible that the new iPhone SE - or entry-level iPhone - won't be a smaller handset at all. According to KGI Securities analyst Ming-Chi Kuo, Apple is working on a low-cost version of the iPhone that will feature an LCD-TFT screen, fewer pixels, and will cost between $649 and $749. This iPhone screen will measure 6.1in diagonally so the new handset could be even larger than the iPhone 8 is. A Chinese report in February claimed that the new iPhone SE2 will feature a larger 4.2in display, but the bigger display won't be due to it having an all screen display like the iPhone X, though. As per KGI Securities analyst Ming-Chi Kuo's theory, Apple could introduce a 6.1in LCD-TFT screen on its new low-cost iPhone, while the other iPhones will feature OLED screens like the iPhone X does now. There has also been a suggestion that the iPhone SE could have a 4.2in screen rather than the current 4in. The extra .2in being made possible by reducing the size of the bezels. Although unlike the iPhone X, which has a screen that stretches to the base of the phone - and thus no Home Button (read about the iPhone X here) - the Home Button is expected to remain on the iPhone SE 2. The naysayers suggest that Apple wouldn't extensively change the design of the iPhone SE for such a minimal change in the dimensions of the screen. It would involve a lot of research and development for little noticable difference to the consumer. This is the biggie, and if we are looking at an iPhone SE with Face ID it would imply that we're also getting an edge-to-edge screen and no Home button. However, if Apple is going to launch an update to the existing SE model then the Touch ID Home button is likely to remain. The new iPhone SE 2 (or iPhone X SE) could offer wireless charging thanks to the rumoured glass back. Tekz24 claims that it received a tip from a "very reliable source" that the new iPhone SE 2 "will have a glass back panel" and that it "might support wireless charging." According to a Tekz24 report (on which the FocusTaiwan report mentioned above was based), the new iPhone SE 2 will offer an A10 Fusion chip (as seen in the iPhone 7). It currently offers an A9 chip, as used in the iPhone 6S. This Chinese report also suggests that the new iPhone will use a newer A10 Fusion chip, rather than the A9 in the current model, but sport 2GB of RAM and 32GB or 128GB capacities, as currently. In addition we could see a 7Mp FaceTime camera with Retina Flash replace the 5MP FaceTime camera in the current model. 12MP camera: The current SE offers 12-megapixels with an ƒ/2.2 aperture.The iPhone 8 has an ƒ/1.8 aperture. 2GB RAM: The iPhone SE already offers 2GB RAM and it's unlikely that we'd see any more than that. The battery will also have a slightly raised rating from 1640mAh to 1700mAh - this might be necessary to power the slighly larger display, if that happens. You may also be interested in our iPad Pro 3 rumours.